Urushi is the Japanese word for lacquer. it was made in the 1930's and has not been made since then. 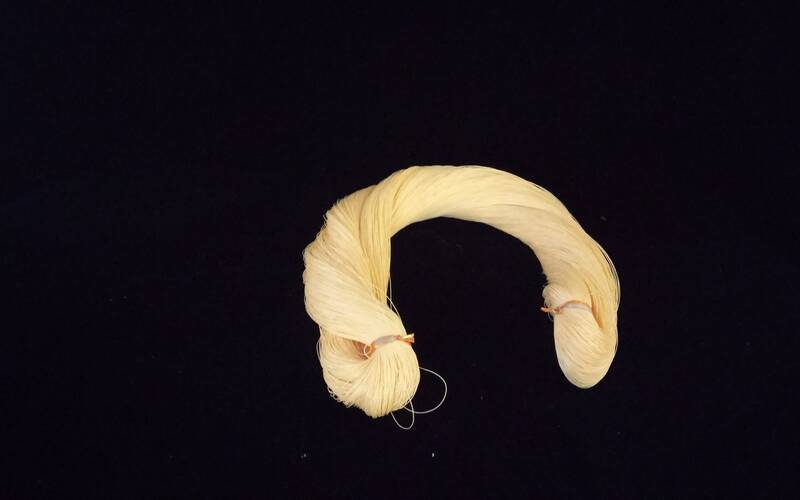 Hard as it is to believe, this fine silk thread has been lacquered and was used primarily on embroidery of kimonos and haoris (kimono jackets). While it does not seem shiny, it stands out beautifully against kimono fabric. Despite being lacquered the thread is supple and easy to work with. I think that it would be ideal for use in kumihimo. This particular skein is a subtle yellow.